Home Winterization - Approved Plumbing Co.
As beautiful as the winter snow can be, frozen pipes and snow build-up can cause significant damage both inside and outside your home. 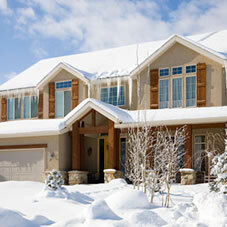 Approved Plumbing can winterize your home, cottage or business to help prevent damage due to snow, ice and frozen pipes. We use only non toxic anti-freeze and label everything we do. We specialize in working with realtors & management companies.